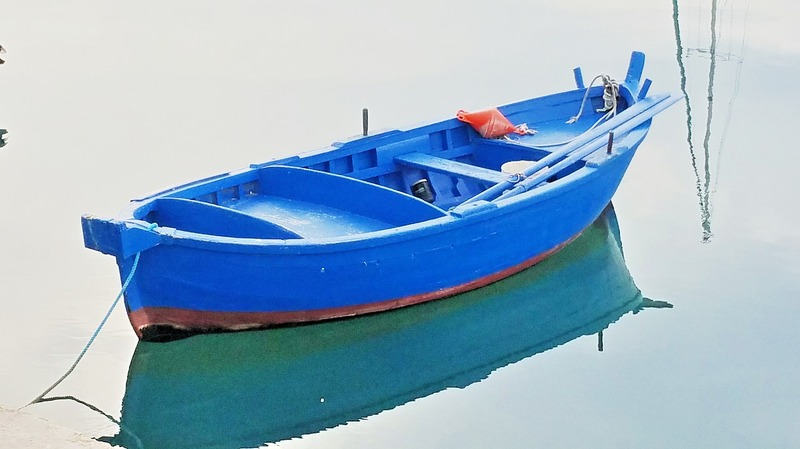 The EATEL summer school 2019 takes place in Bari, Italy. The event is hosted in a different location each year. The 15th EATEL Summer School on Technology Enhanced Learning will take place on June 1-8, 2019 in Bari, Italy. The summer school is organized by the European Association of Technology Enhanced Learning – EATEL (http://ea-tel.eu/). The focus is similar to the AACE conferences – using technology to improve and enhance learning. Each summer school brings together about 80-100 researchers, about half of them PhD students. If you are working on your PhD or EdD, you can apply to EATEL by February 22nd. The first draft of the program is now available and comprises a wide variety of workshops. Examples include evaluation methods, academic writing and design thinking. What are the benefits of attending a summer school? I had the pleasure to talk to Mikhail Fominykh the general chair of the EATEL summer school. Mikhail, please describe your role as chair, and tell us a little more about the team behind the summer school. The EATEL summer school is a research community project. It started by a European network of excellence PROLEARN in 2005 (together with the ECTEL conference). Since that time, many young researchers who attended one or several summer schools joined the core organization team of senior and experienced researchers. The team now consists of 15 members, half of them are PhD students. They work on different tasks from designing the call for participation and the website to disseminating the information about the event to their networks all over Europe and beyond. A special role is played by the local chair, different each year, who is responsible for making all arrangements at the location of the school. In 2019, we are in Italy, but we go to a different country each year. We release a call for proposals to host the school and select the best. This year we were choosing between two bids, last year between four! The school includes excursions and social events. We also try to involve the local research community. All that is the responsibility of the local chair. My role as the general chair is to manage all tasks in preparation of the event from releasing the call for hosts to collecting evaluation forms from the participants. I usually ask for volunteers for each task, and volunteer myself if nobody takes it. We try to keep all processes and decisions transparent within the team and where appropriate also share them with the community and the public. What are the benefits for doctorate students of attending a summer school? The EATEL summer school provides great value to the progress of research and studies of PhD students in Technology-Enhanced Learning. The contents of the school can extend or replace some of graduate courses on relevant topics and research methodology. The academic program is enhanced by multiple informal learning sessions (such as pecha kucha and PhD board-game sessions) and opportunities for PhD students to present their work and receive feedback (such as pitch and poster sessions and speed mentoring session). PhD students are not the only ones who benefit from the school. Most of the program consists of workshops submitted by researchers (in some cases late-stage PhD students) via an open call for workshops. Instructors delivering workshops see the value of the summer school in the possibility to disseminate research results, collect ideas from brainstorming and mini-project competitions, test interactive sessions before running them at larger events and more. Apart from all that, the school is just a lot of fun. We have a very friendly and inclusive community. The school is similar to a conference, but the participants stay together much longer the event is seven days long and we have social activities and excursions included in the program. This is the 15th year of EATEL summer school. How has the event changed over time? Are there any constant themes you see recurring year? The summer school has evolved, of course. The themes of workshops evolve together with the research in the field. We had and still have great workshops on the topics of gamification, MOOCs, and learning analytics. This year, some of the titles include blockchain in education, big data in TEL and multimodal learning analytics – learning with sensors. The summer school started being funded by the European Commission and by several large European research projects. Over time, the amount of external funding reduced, but the community has grown. The summer school follows a non-profit approach: the academic program is provided for free, while the cost includes accommodation, full board, social program and materials. However, the event is not fully self-sustainable. The summer school is funded by the EATEL. The association pays expenses of up to five keynote speakers and provides a limited number of scholarships for PhD candidates from low- and middle-income countries. Can you point to some highlights of this year’s program? Are there any workshops you are particularly looking forward to? I look forward to several sessions this year. First of all, the Local TEL research community day. We will visit Bari and gather at the central Palazzo delle Ex-Poste for an open seminar, where all local researches, PhD students and students will be invited. This event will include a panel discussion with professors from Italian universities (we collaborate with five universities from the region). One more workshop that I really look forward to will be organized by our alumni José A. Ruipérez Valiente who has made a fantastic progress in his research career and currently works at MIT. Is there an alumni network? Do you stay in touch with past attendees and presenters? The most enthusiastic participants join the organization team and keep coming back with workshops. I attended the school as a PhD student in 2009, 2010 and 2011. And since 2013, I have been at every summer school with one or several workshops and also joined the organization team. In the team, we have people who has been involved longer than I am! We have a couple of alumni groups that started at different workshop series. The largest groups JTEL Community partnership currently has 100 members. We share announcements, news and articles. In this group, we look for partners for joint studies and for international grant proposals. I have been actively involved in already three large international research projects started with summer school alumni. What are some other EdTech events you are attending this year? Apart from the EATEL summer school, I am going to the IEEE Virtual Reality conference (http://ieeevr.org/2019/). EdTech is not a primary topic of this event, of course, but they have a topic “Educational applications of virtual reality”. We are also preparing a submission to the Immersive Learning conference (https://immersivelrn.org/ilrn2019/). It is a pity that it collides with AACE’s EDIL. I considered submitting a paper there too. Mikhail Fominykh is a researcher and a project manager working in the area of technology-enhanced learning. He received his PhD in Computer and Information Science at the Norwegian University of Science and Technology in 2012. 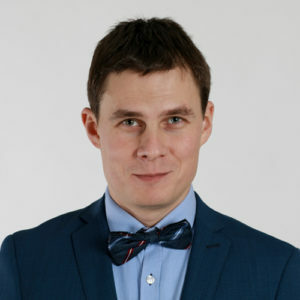 Mikhail works on several R&D projects, as a researcher at the Norwegian University of Science and Technology, Associate Professor at Molde University College, an adjunct professor at the Volga State University of Technology and a project manager at Europlan-UK ltd. His interests include technology-enhanced learning and training with augmented and virtual reality. The highlight of his work is co-leadership in an EU Horizon 2020 project WEKIT http:/wekit.eu/, running from 2015 to 2018. Mikhail is also co-managing two other EU-funded projects: Augmented Reality in Formal European University Education (AR-FOR-EU) and Digital Competences for Language Teachers (DC4LT). Mikhail is an active member of the European Association for Technology-Enhanced Learning (EATEL) and chairs the EATEL summer school on Technology-Enhanced Learning since 2017. Fominykh, M., Leong, P. & Cartwright, B. (2018). Role-playing and Experiential Learning in a Professional Counseling Distance Course. Journal of Interactive Learning Research, 29 (2), 169-190. Fominykh, M., Prasolova-Førland, E., Stiles, T.C., Krogh, A.B. & Linde, M. (2018). Conceptual Framework for Therapeutic Training with Biofeedback in Virtual Reality: First Evaluation of a Relaxation Simulator. Journal of Interactive Learning Research, 29 (1), 51-75. Fominykh, M. (2016). Wearable Experience: New Educational Media for Knowledge Intensive Training. Presented at EdMedia: World Conference on Educational Media and Technology 2016. https://www.learntechlib.org/primary/p/180541/. Nice interview. Please also share information if Eatel Summer School provides an award in education and training online course as well.